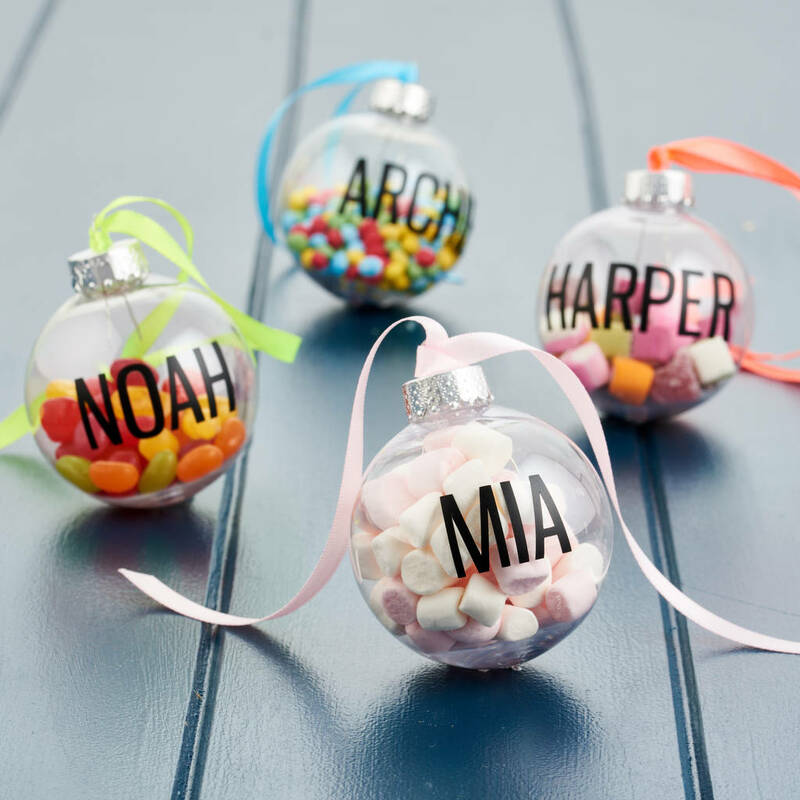 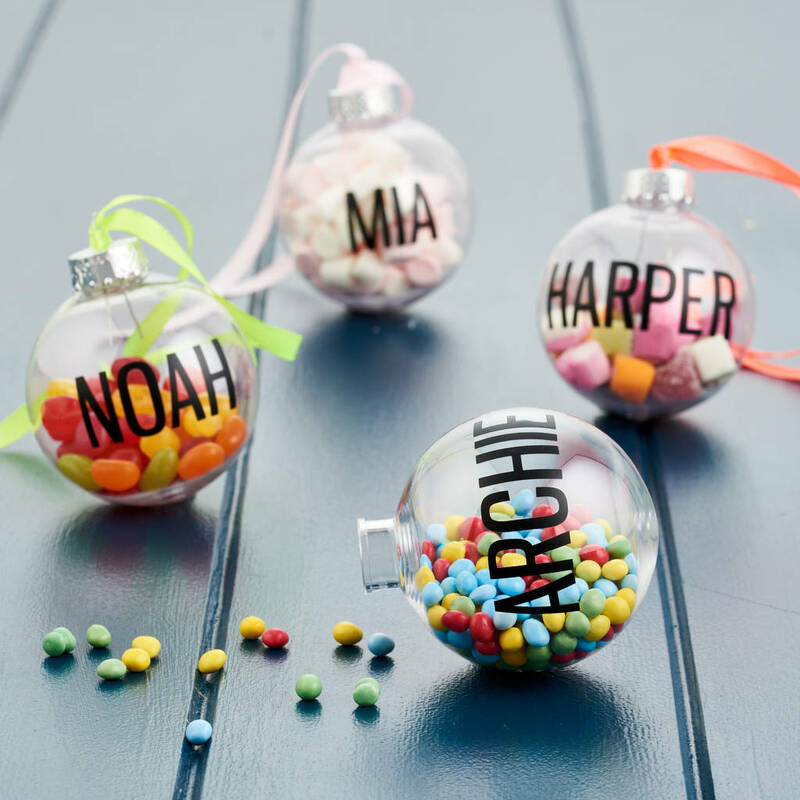 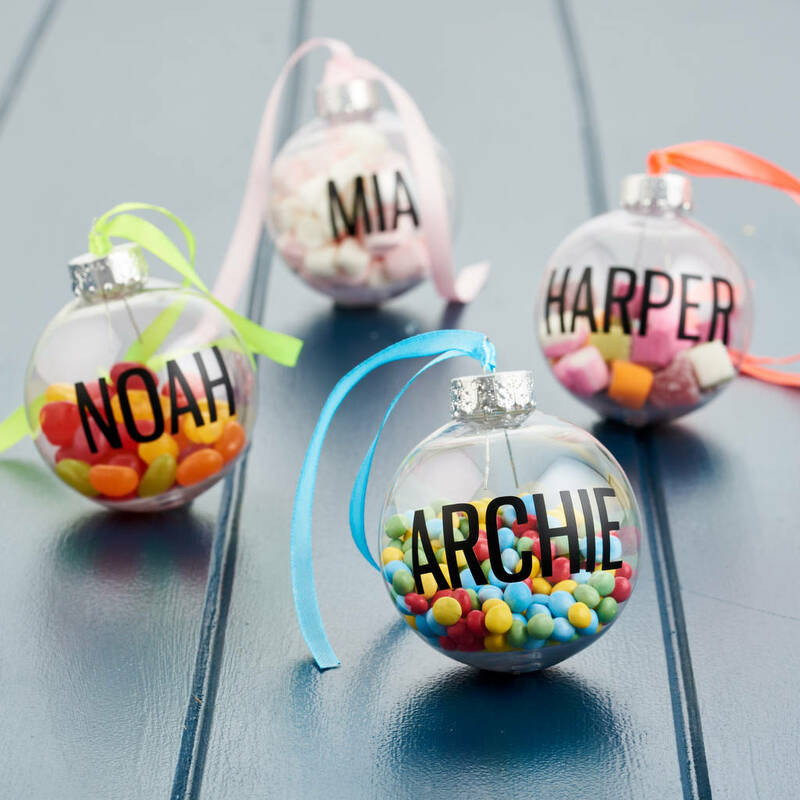 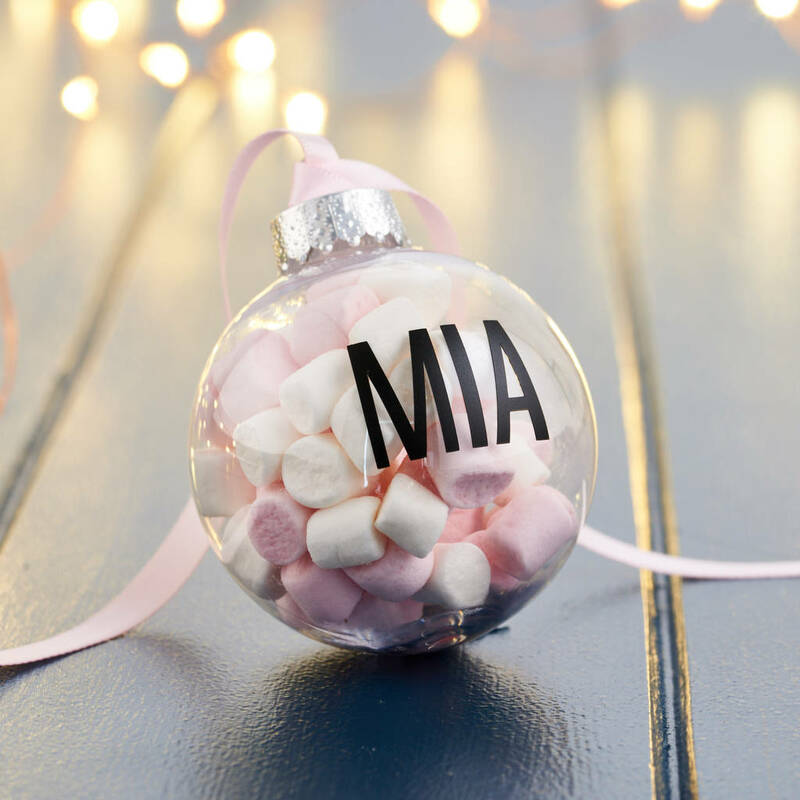 These personalised baubles are a fun and playful alternative for your Christmas tree! 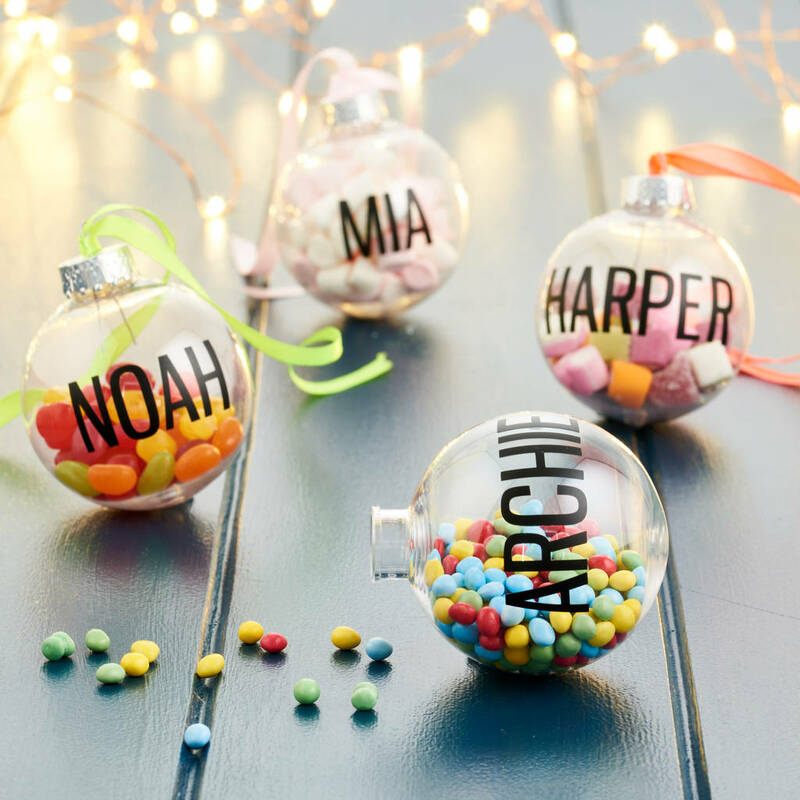 The perfect gift for a little one, you can personalise your bauble with their name and create a colourful wonderland inside. 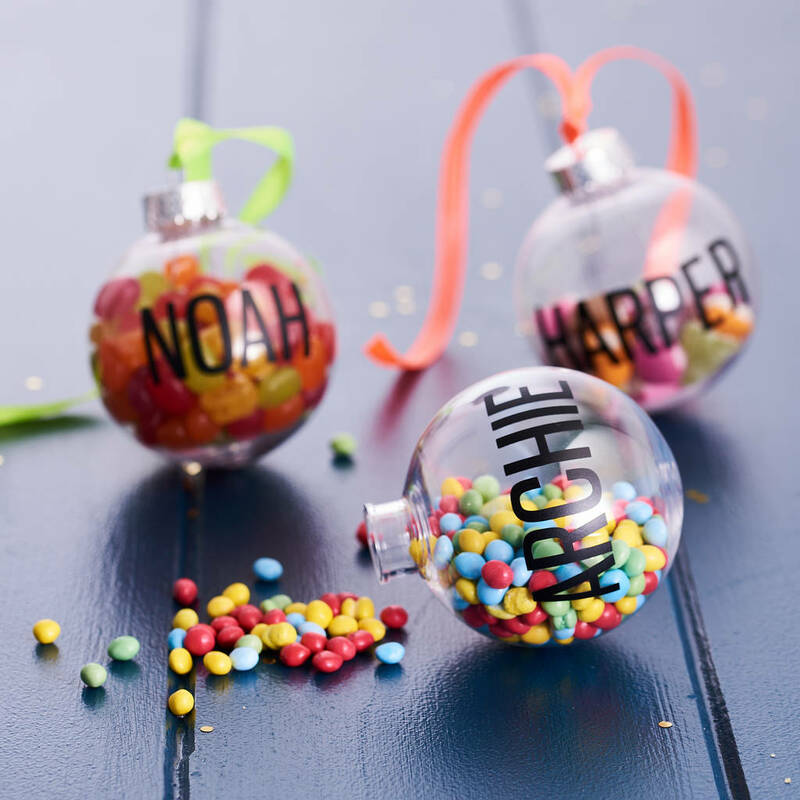 Make it a fun activity for all the family, filling them with sweeties, glitter, paper shapes or anything you want. 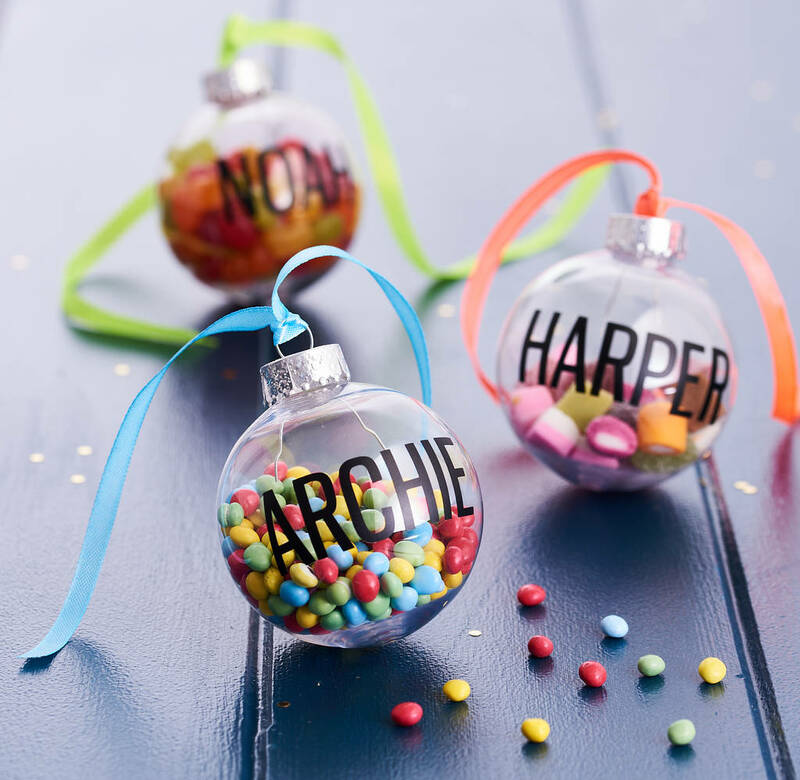 They can easily be opened with adult supervision and will be sure to add a unique touch to your Christmas tree. 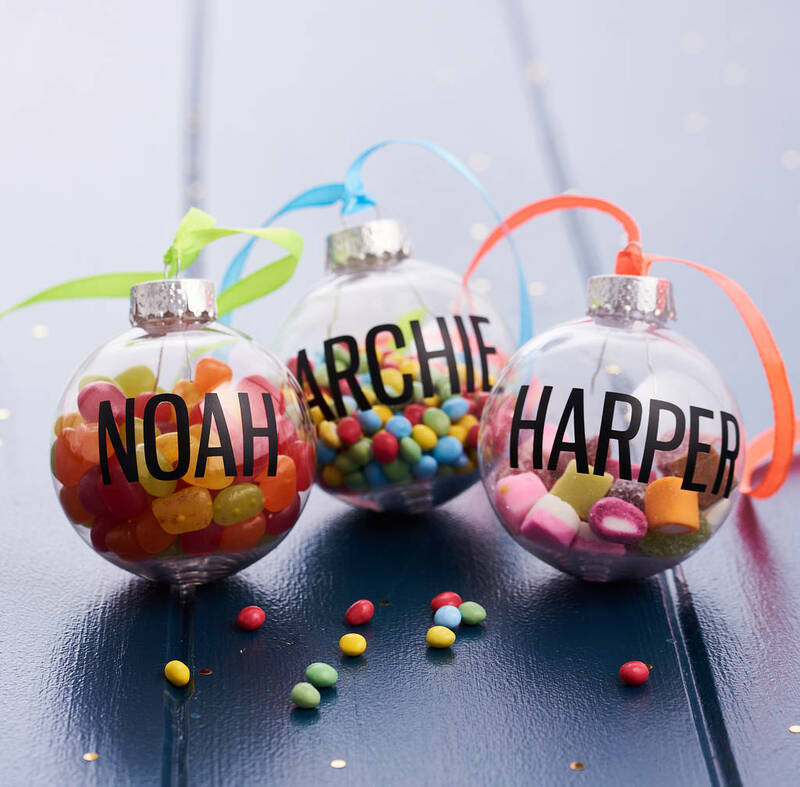 Please note: sweeties are not included. You can fill these baubles up easily at home.